Tight spaces are no longer a problem with this flexible extension! This Amazing Flexo Tool bends, twists and turns to fit into the tightest of spaces yet maintains a firm, steady grip. 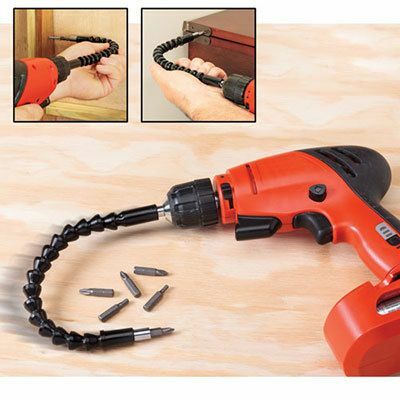 Compatible with multi-bit tools (drill and bits not included). 12"l.